These days, it seems as though boxing and MMA are both becoming ever increasingly like a WWE event where dramatic behind-the-scenes acts happen on a regular basis. Memorable recent events, such as the post-fight riot after Khabib Nurmagomedov’s submission win over Conor McGregor, have reignited this belief. Thus, it is once more time to take a look at which combat sports stars are potentially next in line to make a move over to the WWE. Further evidence of how quickly a UFC pre-fight staredown can descend into chaos. As WWE legend Ted Dibiase’s famous theme once asserted, ‘everybody’s got a price’. While Khabib still has a future in the UFC – however delayed – his head could be turned by the right deal. In the immediate aftermath of the McGregor fight, it certainly seemed like the Russian could have dealt a deathblow to his career. UFC President Dana White was particularly enraged in initial interviews but has since softened his stance and stated that Nurmagomedov will not be stripped of his title. That said, the Nevada Athletic Commission only made the decision to release half of his UFC 229 purse on October 24, and with Khabib almost inevitably set for an extended spell on the sidelines, both Khabib and the UFC have some big decisions to make. When it comes to the technical difficulties of being a WWE great, no-one could do it better than Khabib Nurmagomedov, as his incredible level of wrestling skill and technical ability would surely make the move a natural one. His personality has shined too, and America’s love of having a stereotypical Russian villain – perhaps a topical version of Nikolai Volkoff – could work perfectly. In this new politically-charged era of the 'real world', the presence of disgraced UFC star Khabib Nurmagomedov in the WWE would undoubtedly be a timely one. Though the UFC has adopted some very WWE-style characteristics, it is not just the octagon that has big personalities these days. There are also men in the boxing ring that have potential under the WWE brand, and one man who does seem a perfect fit for WWE is Tyson Fury. Fury has seemingly spent his whole boxing career selling fights by playing different roles and relying on his ability to trash talk, as well as using his huge frame to act as a ‘face’ for the sport. He falls firmly into the category of ‘contender’ in his sport, but as of November 2018, Fury has only one more realistic chance of becoming a heavyweight champion. Should Fury ‘honour’ his status as a 13/10 outsider in the boxing betting to beat Wilder on 1 December, and get his expected loss – however gallant – there will be little left for him in the sport he loves. Should he move to the WWE, the obvious challenge will be for him to develop the technical ability needed to become a success, but if nothing else, his larger than life character would be a perfect fit. With Mayweather still the proud owner of a 50-0 record, and set to fight Tenshin Nasukawa in a glorified exhibition on 31 December, there is no question that Mayweather still values showmanship. Ultimately, this would make a move to WWE all the less surprising should it happen. The aforementioned Conor McGregor, who has already made appearances in both the boxing ring and the octagon, is also an option. 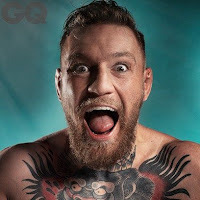 Like Tyson Fury, McGregor has an infectious personality along with a now-limited shelf life in his own sport, especially with the true extent of the fallout from UFC 229 still yet to be realised. Riotous press conferences, long-running rivalries and trash talk are set to remain a staple of UFC for years to come, but with a degree of reality that can’t be found in a WWE event. Within that, there is an opportunity for the powers at WWE to capitalise and take in those looking for a change or needing one. FOLLOW US ON YOUR FAVORITE SOCIAL MEDIA. WE ARE ON FACEBOOK, TWITTER AND G+! Follow our site by using your favourite social media! WrestlingAttitude on Facebook. Join now!